Black & Choc. puppies planned Fall 2011! 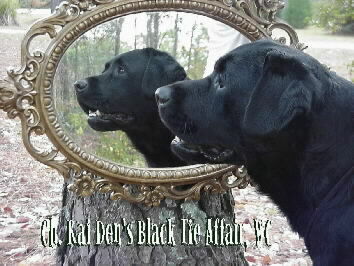 Welcome to Kai Den Labradors! beginning with our first black boy, BISS CH. KAI DEN JET, CD, WC. from various countries throughout the world. And always, temperament, beauty & versatility is our top priority. This site belongs to Jeannine & Greg Biddle. All rights reserved.